The Petroleum Branch has developed this Interactive Map to provide a variety of current data relating to the Oil and gas Industry in Manitoba. Use this map to find information on Oil and Gas infrastructure, including Wells, Flow Lines, Batteries and Facilities, as well as regional geology, land use and administrative boundaries. 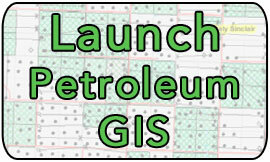 Click the Launch button below to start using the map, where you can search, navigate, inspect, and extract data. All maps in the Map Gallery are in Universal Transverse Mercator projection, zone 14, North American Datum 1983. Technical well files contain extensive information about each well, including site drawings, approvals, activity information, core analyses, logs, and other information. Scanned PDF format documents are available for download for most wells. To search for documents by License, Click Here. please visit our Digital Information section. This static map shows the location and boundaries of all currently designated pools and fields, the geological zone from which each pool produces, along with well locations. Twps. 1-12, Rges 19-29 WPM.